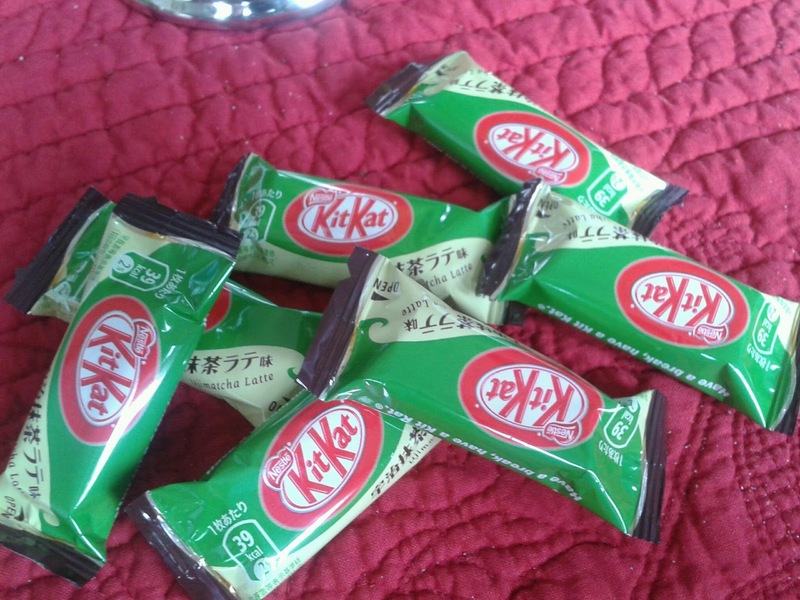 This bag comes with 7 small pieces and instead of the usual 2 pieces of kit kat in a package it is one larger one. 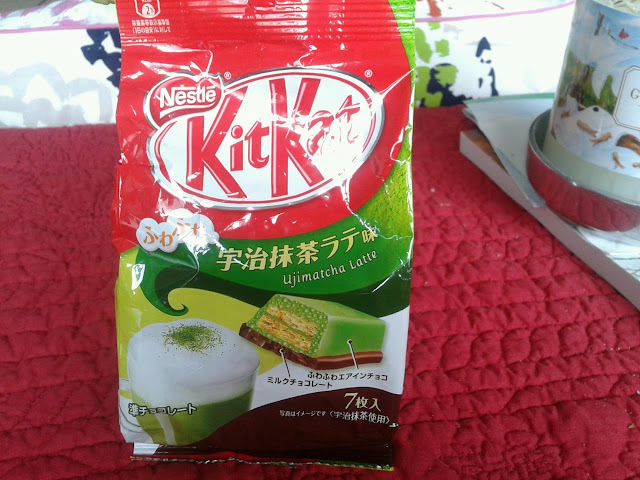 This was an okay product. 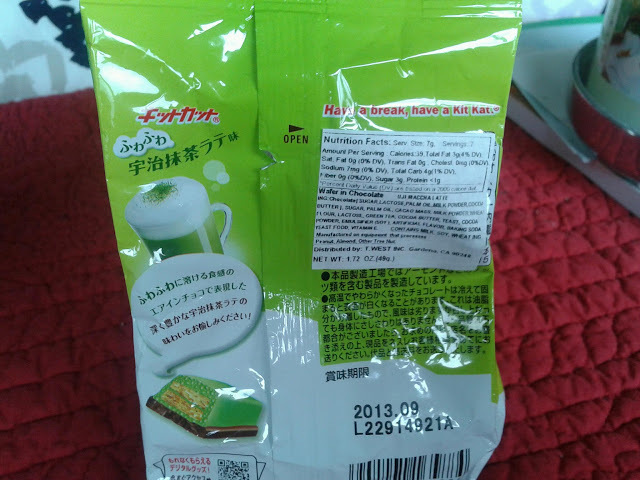 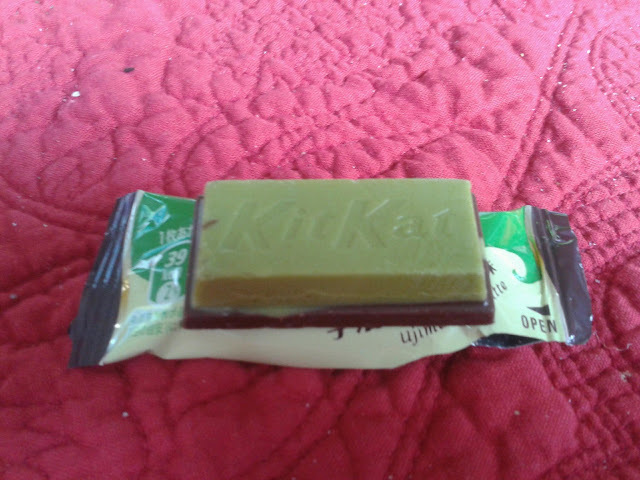 I was a little disappointed because I felt that the milk chocolate overpowered any green tea flavor from this bar. 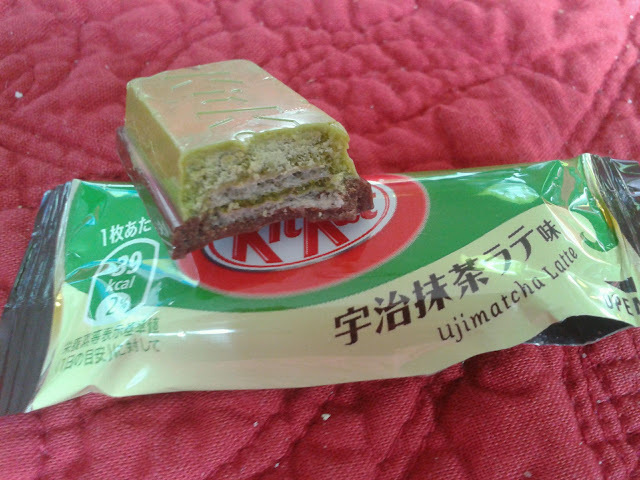 Overall, as with most Japanese kit kat products, I'm glad I bought it and am able to say that I have tried it.